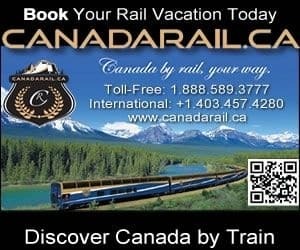 Kamloops, BC, Canada is a year round travel recreation destination situated on the shores of the Thompson River in the Nicola Valley region of British Columbia, Canada. Travel to the region and you'll be surrounded by an environment heavily influenced in western imagery. It is a landscape filled with over 200+ lakes, vast rolling grasslands, tumbleweeds, looming mountains, alpine valleys, roaring rivers, crashing creeks and a high number of horse ranches. The mighty North and South Thompson Rivers meet in the centre of the community. The Trans Canada and Coquihalla Highways connect in Kamloops. Canada's two major railway lines converge in the community and, even the birds meet in Kamloops with hundreds a year visiting the South Thompson River estuary for food and nesting. The Shuswap First Nation people spell Kamloops like "Kahm-o-loops" meaning "where the rivers meet". And in 1985 Kamloops started referring to itself as the "Tournament Capital of BC". Provincially speaking, Kamloops is part of "Lake Country" of the Thompson-Nicola Valley sometimes referred to as British Columbia's "High Country" and/or "Ranchland Country". The developed parks, the hundreds of lakes and the wilderness backcountry mountains provide plenty of room for horseback riding, sport & fly fishing, golfing (20 courses), birdwatching, canoeing, kayaking, river rafting, hiking, boating, mountain biking, offroading, rollerblading, rock climbing, downhill skiing, snowboarding, cross country skiing, snowshoeing, snowmobiling, ice fishing and more. Take some time to enjoy the 40 kilometre long Rivers Trail which connects the community and most of the local parks and surrounding neighbourhoods together. Some of the parks include Riverside Park, Pioneer Park and Peterson Creek Nature Park. The Kamloops region enjoys over 80+ parks and activity destinations including Paul Lake, the BC Wildlife Park, Sun Peaks, Lac de Bois Grasslands Park, Lac Le Jeune and McArthur Island. Some of the attractions, historic sites and cultural venues to visit in and around Kamloops includes the Kamloops Museum, Secwepemc Museum and Heritage Park, Big Little Science Centre, Dallas Barnhartvale Baptist Church, Kamloops Heritage Railway, and a Kamloops Pow-wow. As for culture visit the Kamloops Symphony, and any of the local theatre companies and art galleries. Services important in and around the community of Kamloops include accommodations, campgrounds, wineries, restaurants, pubs, gas stations, cell service, grocery stores, gift shops, liquor stores, internet, and transportation services including taxi, bus and airport. Explore Kamloops, BC, Canada Travel Guide for Accommodations, Attractions and Adventure.